Using Facebook you can create multiple accounts and there are many people who have multiple accounts on Facebook some people creates one account for their personal use some people creates multiple accounts for both personal and for their business purpose. But what will you do when you have to use both of your Facebook accounts. What i know you can’t really do this because Facebook has not given this option to use multiple accounts at the same time. You can only access one account at one time. 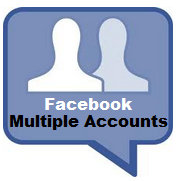 Is this article i will tell you about how you can access multiple accounts at the same on Facebook. To access multiple Facebook account you can follow the steps below. If you use internet explorer you can do this very easily just open your internet explorer and then log in to your Facebook account. to log in to another account just go file and then click new session open Facebook and log in with your second account and you are done. * Now install the Mutifox, an extention for firefox. * Now open the Fcaebook and then go to file and then click on the “New Identity Profile” or rhight click on the tab and then click open in a New Identity Profile. it will open a new tab or window, now log in to your first account now you will see a blue squire button top right side with number click on that now from the given list select tow or three and then you will get new window now you can log in with your second Facebook ID. * Install the Greasemonkey add-on for firefox. 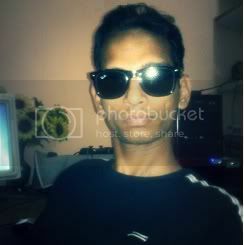 * Now log in to Facebook and then click the switch account option before the option obove. to switch to a different account just click the account you want to switch. that’s it. Note: This method works for for both firefox and crhome also. You can use this method for both browsers.